Many factors need to be looked at to see if you are having problems with your alternator and starting motor. Initially It may appear as a flat battery however if your battery appears to be fine the problem can lie with the alternator or starting motor. More modern cars will have a warning light come up on the dash board if there is a problem With your alternator. Another early sign can also be if you are driving at night and notice that the lights are dipping and then going back to full brightness while driving.This can be a sign that your alternator is not maintaining contents level of power and may need to be repaired.sometimes you may experience the scent of burning rubber or hot wires but this is not always present. If you notice a dip in power in your vehicle it is better not to ignore the problem.An alternator and starting motor repair will ensure you are not left stuck at an inconvenient time. Call us today on 083 8377 688 and have one of our fully insured fully trained professional mechanics meet you at a time and location that suits you and we will be able to tell you if you have a problem with your alternator/starting motor. 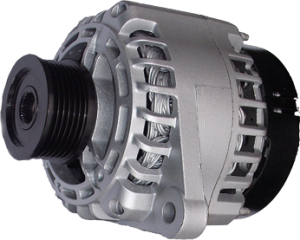 We have over 15 years experience and can advise you what is the best course of action to get your alternator/starter motor repair completed quickly and efficiently. Our excellent location means that we can respond to your problem straight away. We are conveniently situated right beside the M2 and minutes from the M50.